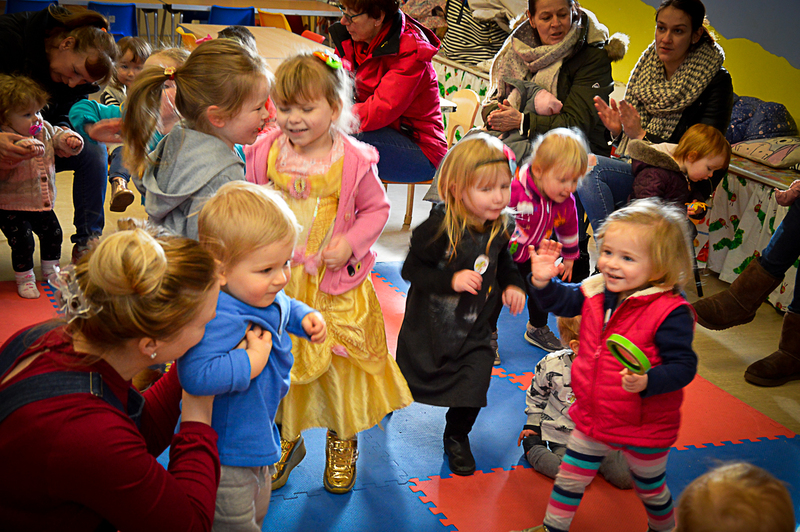 At 4 Cheeky Monkeys we work hard to make sure our setting has equipment available that covers all 7 areas of the EYFS, that our setting above all is safe and we give children opportunities to access new experiences. 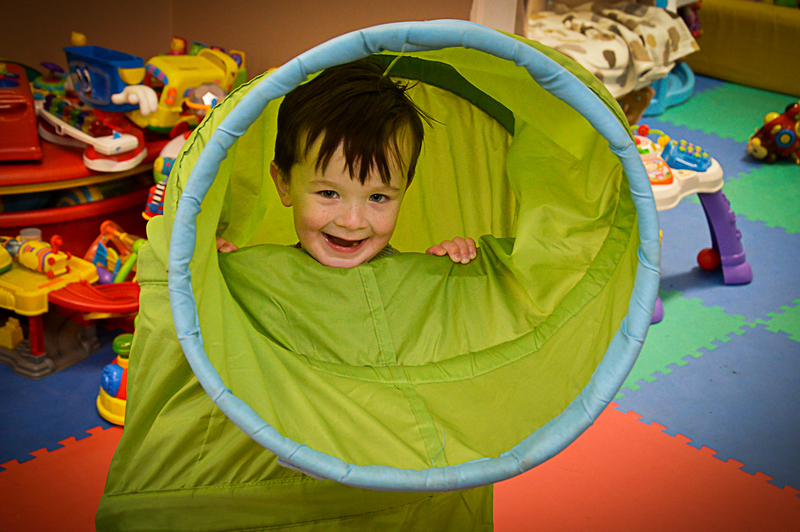 We’re passionate about children’s development and put a lot of effort into researching equipment and resources that we feel will aid your child’s development. 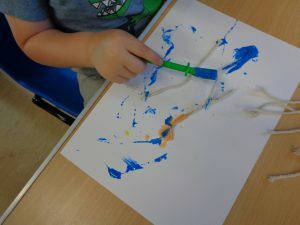 Getting the chance to review The EYR First Mark Making Pack for Early Years Resources has been fantastic, all the children enjoyed exploring patterns, colours and textures. 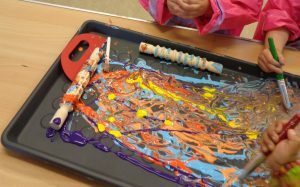 We’re big advocates for getting messy here at 4 Cheeky Monkeys, I have encouraged babies in my care to explore textures such as sand, yoghurt, grass, jelly… These activities have been closely supervised and hugely beneficial, a brilliant tummy time activity! 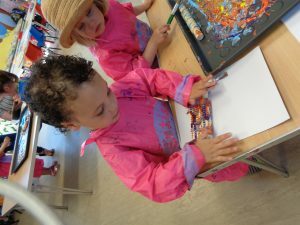 • important for brain development in early childhood, preparing them for later success and learning. 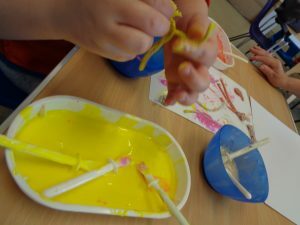 Messy play is wonderful for older children, supporting their development by exploring colour recognition, experimenting with texture, both developing creativity and thinking skills. 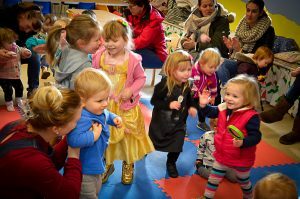 Did you know it is crucial for babies and toddlers to have ‘messy moments’ in the early years as that’s when children learn through their senses, this provides an extremely important foundation (Sensory integration) for the developmental process where touch, taste, hearing and vision are part of brain development for later spatial, math and language concepts. 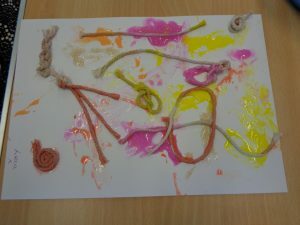 Mark making using coloured glue and string has been very popular with children asking for this activity to be set up. 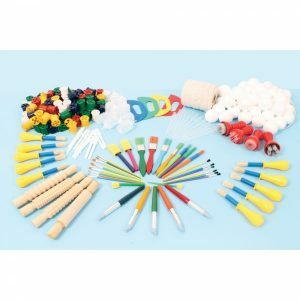 The 260m cotton string and 10 glue spreaders are included in the mark making pack. 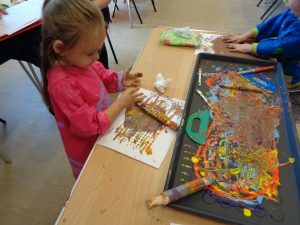 We used the assorted brushes, creative brushes, chubby mark makers,wooden pattern pins and paint scrapers during a painting activity which proved to be lots of messy fun. 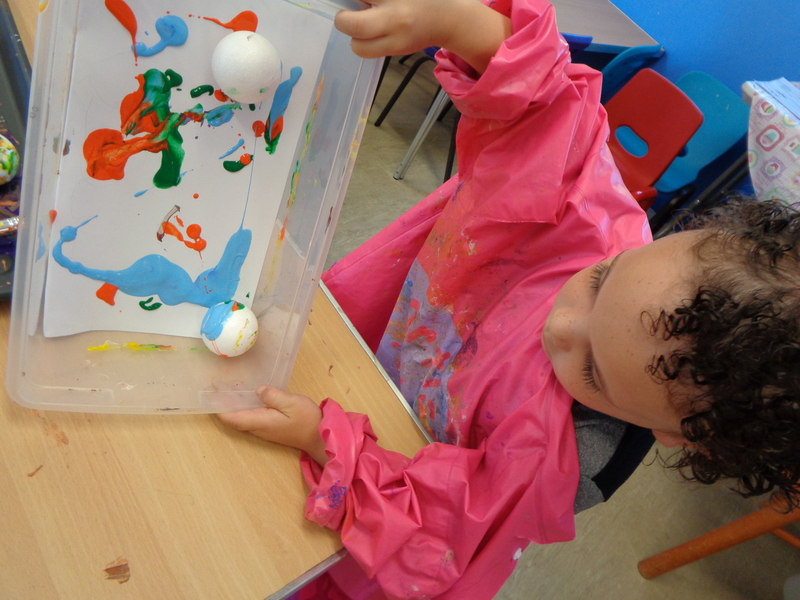 We added the polystyrene balls to a tub with some paint to make different patterns, as the balls were light in weight the children used their fingers to move them, as well as paint brushes or as pictured tipped the actual box..Fantastic problem solving!!! 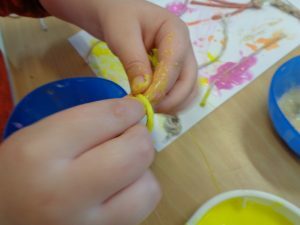 ‘Hadley enjoyed using the easy grip mark makers as they were easy to control’ – child 18 months. 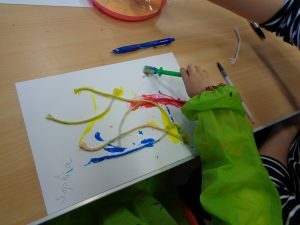 ‘My daughter really enjoyed exploring 4 Cheeky Monkeys new mark-making equipment, she loves to paint and get messy so this was perfect for her. 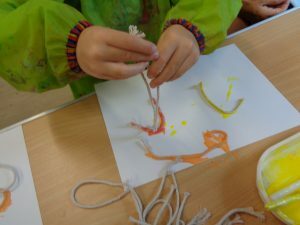 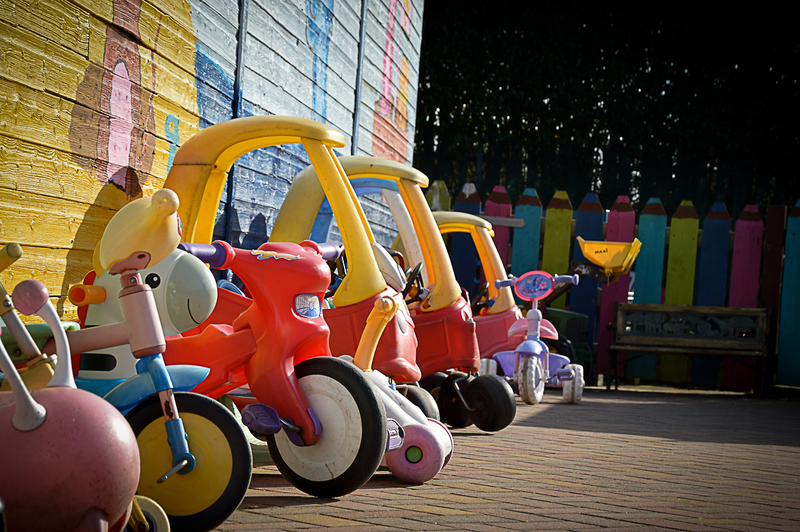 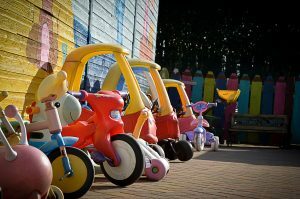 There was a variety of equipment for her to use which kept her engaged and entertained’ – child 3 years. 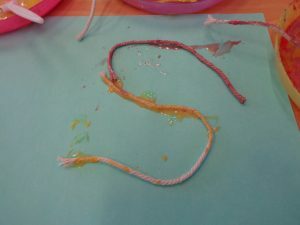 ‘My son really enjoyed it. 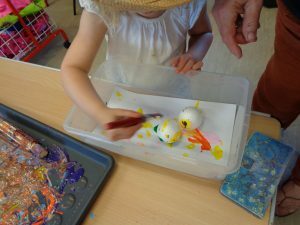 They don’t really get a chance of doing it at home so it is quite a nice idea for them to use their imagination’ – child 2.5 years. 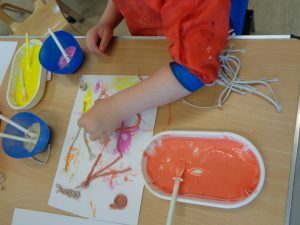 ‘Aiden enjoyed using the roller too make lots of different patterns on the paper and enjoyed the fact he could roll the balls in the paint to make a pattern with out getting paint on himself – really enjoyable’ – child 4 years. 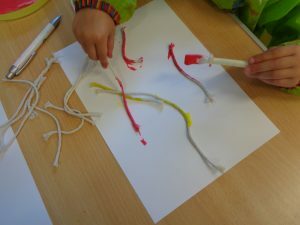 ‘My daughter appeared to thoroughly enjoy this new mark making activity. 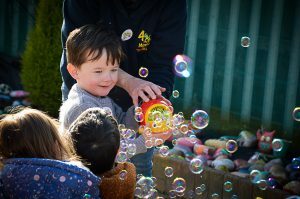 The equipment used, I really approved of to encourage the children’s imagination and improve hand/eye coordination’ – child 3 years. 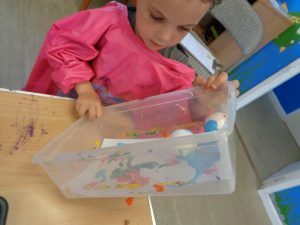 ‘Rory enjoyed the sensory play in the sand, he enjoyed the patterns he made using the pen shaper. 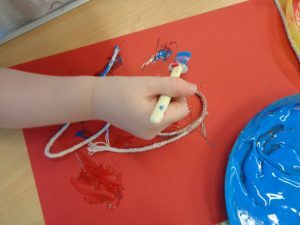 Brilliant for children learning pen control’ – child 26months. 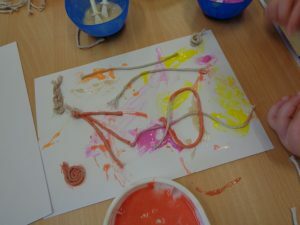 ‘Excellent activity for sensory experience, enjoyed touching the sand and watching it fall through her fingers. 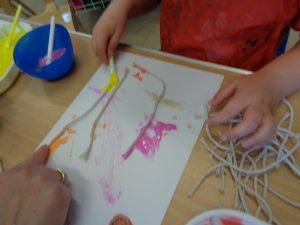 Used the pens to make marks in the sand, didn’t want to use the rollers or combs’ – child 1 year. 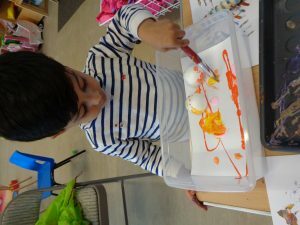 ‘I liked all of the mark making tools. 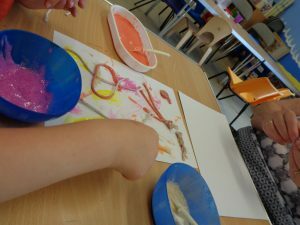 The pens were my personal favourite – they were easy for the children to hold and made deep marks in the sand. 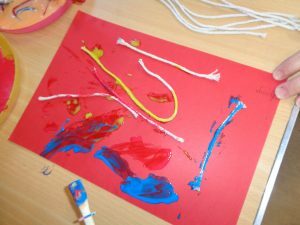 The children likes different ones: 2 preferred the pens, 1 the rollers and 1 the comb’ – Childminder of 4 children aged 2, 2, 3 & 3 years. 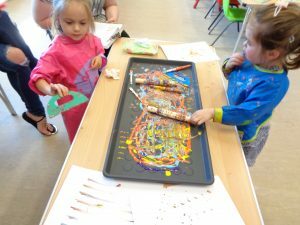 Thank you to EYR for letting 4 Cheeky Monkeys review this brilliant art set, we’ve got lots more planned over the coming weeks. What is your favourite activity to do with your child that helps promote their hand eye coordination and fine motor development?